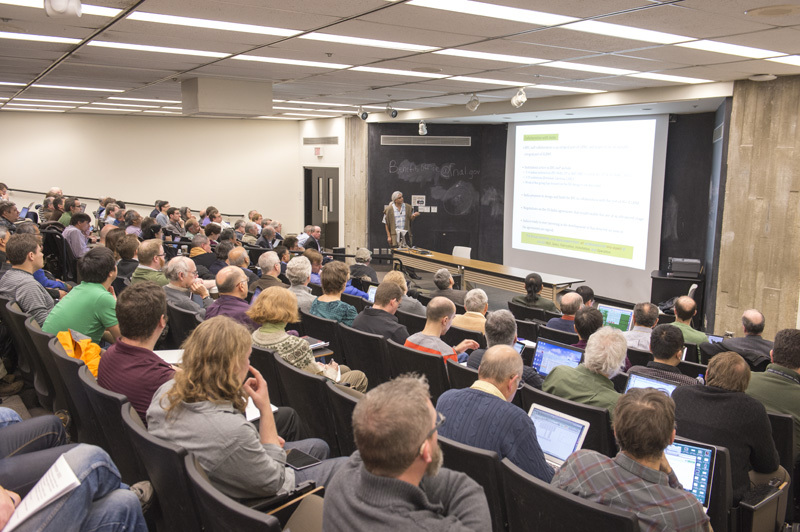 On Dec. 5 and 12, many of the world’s neutrino scientists gathered at CERN and Fermilab, respectively, to learn about the newly proposed next-generation long-baseline neutrino oscillation experiment. These meetings were established to discuss a new letter of intent (LOI) for the experiment. The LOI, which is currently signed by more than 350 scientists from more than 100 institutions around the world, leverages the Fermilab neutrino facility to undertake an experiment at Sanford Underground Research Facility in South Dakota. The two meetings were designed to be identical in content. Fermilab Director Nigel Lockyer kicked off both meetings with a historical overview as well as a high-level plan forward. 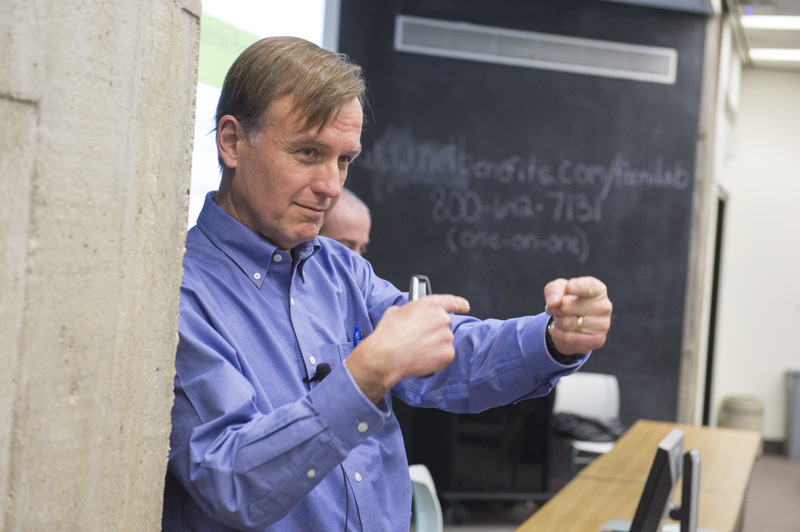 Jim Strait, project director for the proposed long-baseline neutrino experiment, discussed the Fermilab facility and what is being offered. ICFA Neutrino Panel Chair Ken Long and I presented the LOI in our role to bring the world’s long-baseline neutrino community together, and Fermilab Deputy Director Joe Lykken summarized the current discussions on the international governance process. Lively panel discussions followed, giving attendees a chance to interact with the LOI authors and learn more about the proposal. Copies of the talks are online. People can find the current draft of the LOI and sign it from the website. The deadline to sign it prior to its presentation to the PAC[?] is Jan. 11, 2015. The next step in the formation of this new international collaboration is its first meeting, to be held at Fermilab from Jan. 22-23. It is open to anyone who is interested in joining this new scientific endeavor. Sergio Bertolucci, CERN director of research and the interim Institutional Board chair for the collaboration, has called the meeting and will announce the agenda in the coming weeks.